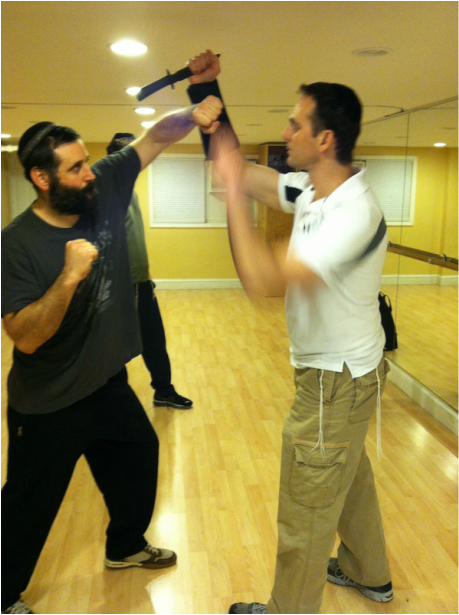 The Mission of Shomer360 is To Instill Strength and Confidence into Our Community by Teaching World Class Self Defense Within a Torah Observant Framework. Our founder, Eilon Even-Esh served in elite units in the IDF where he learned Krav Maga in the famous LOTAR compound within Mitkan Adam. He was also a Captain in the US Marine Corps where he learned the Marine Corps Martial Arts Program (MCMAP). Prior and after the military he trained extensively with world champion fighters. He became a baal teshuva through Chabad after his military service in the Corps and strengthened his foundation a number of years later at Yeshiva University's RIETS pre-smicha program. Captain Even-Esh, as he is sometimes called, specializes in teaching the frum community. Seminars ​ - Very relevant for these turbulent times. Captain Even-Esh will travel to your shul or location and conduct a seminar or series of seminars of your choosing. Our most popular series revolves what to do in the event of an active shooter or active stabber entering your shul. Seminars are often used as fundraiser events, corporate team building or community programing. Captain Even-Esh can travel anywhere in the US or abroad. Please contact us for more details. Below, a 13 yr old student executes a knife defense learned 15 minutes prior. Amazingly effective even with an 80lb weight discrepancy. Captain Even-Esh will provide onsite training to your shul security team. Training will involve a fundamental Krav Maga program in addition to active shooter and active knife wielder scenarios. There will be hands on "war gaming" and brainstorming sessions as to the best security solutions to fit your shul's unique architectural configuration. Please contact us for more information. Professionally executed and below market price. We will provide a professionally written security assessment for your synagogue designed to help you apply for government grant money and maximize the safety of your congregation. Gun defense Demo with all around Mentch Tamir Goodman aka the Jewish Jordan. Hotel Programs - We have had great success in programs such as Gateways, Kutshers, Leisure Time Tours and many others. The classes are always specifically tailored to the level and character of the audience. Always a hit! Pesach program at the Rye Town Hilton. Demonstrating the "Anatomy of a Grab" and how to escape. Foundational leglock training. A must know for ground defense. Sparring Gear and Meals Included. Contact us for more details. Designed for Frum young men ages 13 and up. Sleep Away and all inclusive with Day Camp options also available. The curriculum will cover striking, ground survival and weapons defense against gun, knife and baseball bat. 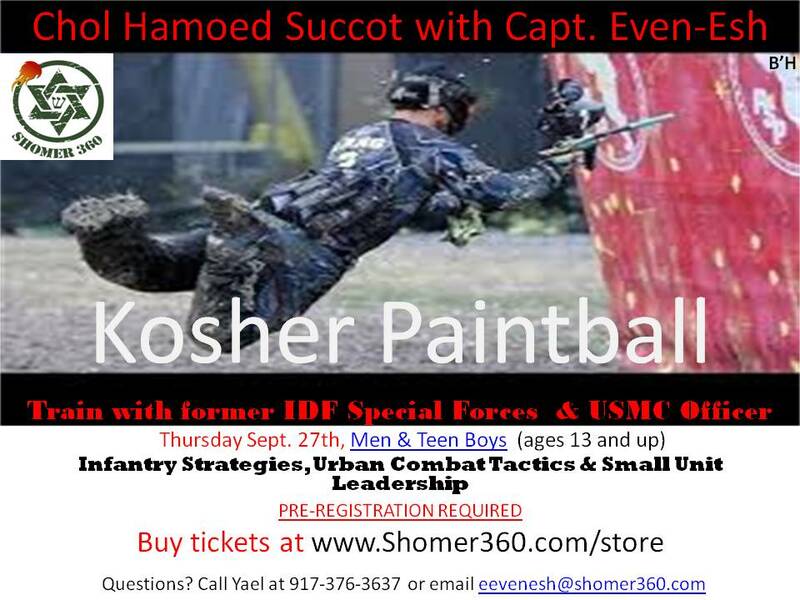 Torah learning and other recreational activities such as swimming and paintball. Programs for Sleep Away and Day Camps – There are well respected Rabbeim who are against teaching martial arts of any kind or in any way. We respect and understand that. For that reason we offer our military-style obstacle course option that focuses on team building, exercise and mental toughness. Delivered with the same derech eretz as our other programs but contains no martial arts techniques. Proceeding step by step through the "icepick" style knife defense. If you want to improve your self defense skills or maximize your workout, this program will provide the quickest results. Captain Even-Esh makes house calls or can train you at work. Flexibility of schedule is part of the program with sessions available early morning, mid day or evening. 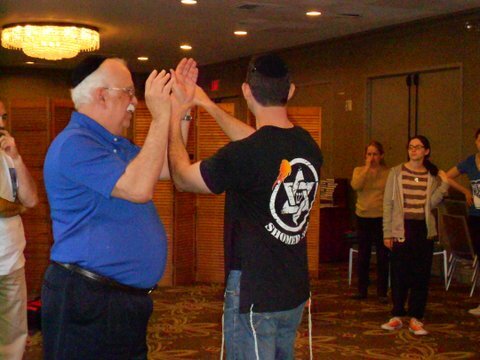 Krav Maga in a Torah Observant framework brought to your Yeshiva. A combination of derech eretz, physical fitness and world class instruction brought to you. This may be implemented as an after school club or part of the Yeshiva's physical fitness curriculum during school hours. Video of Captain Even-Esh demonstrating the Krav Maga Knee from the clinch. Located at Yeshiva University High School for Boys. 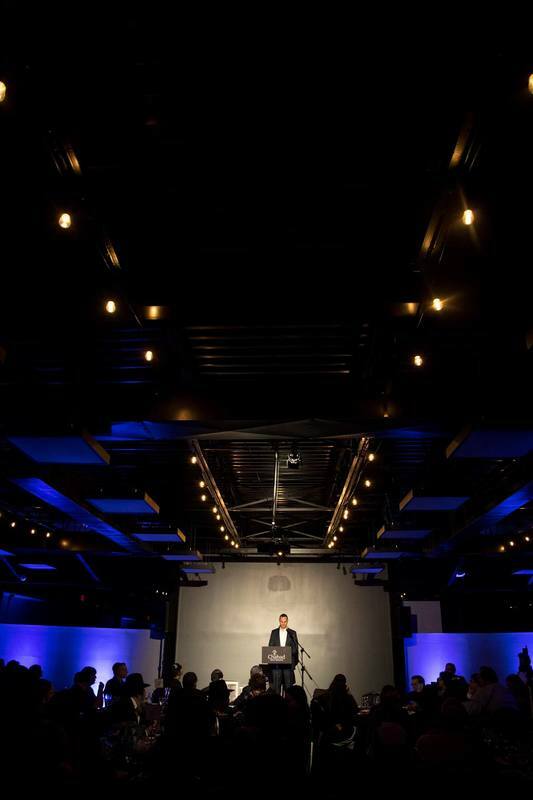 ​Public Speaking – Baal Teshuvah Journey – Eilon’s transition from the IDF to Columbia to the Marine Corps to baal teshuvah. The struggle, the pain and the joy. How one man overcame a lifetime of secular thinking to finally embrace life in his thirties as, Baruch H’, a religious Jew.